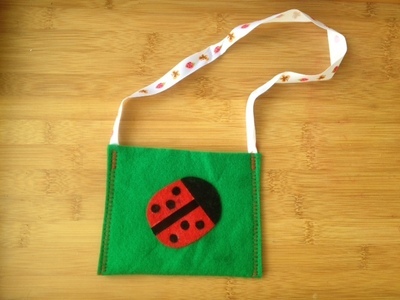 You could make this cute felt ladybird bag as a gift for a young child or it would be an ideal easy first sewing project for older kids. It's flat and light so would make a good gift to post. 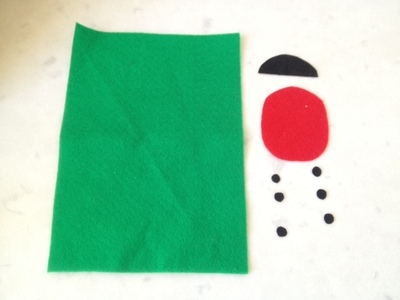 Cut a rectangle out of green felt twice the size you want the finished bag to be. 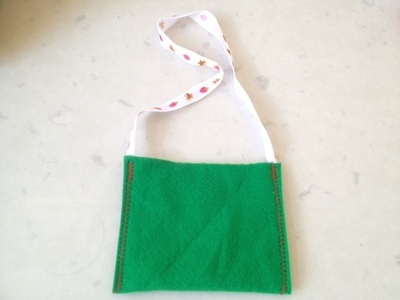 The bag will be folded along the bottom edge. 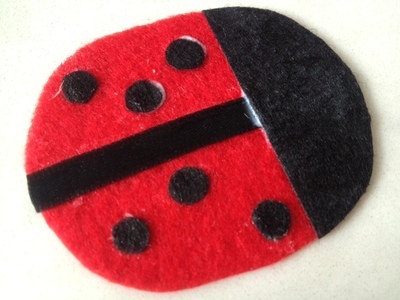 Cut out the ladybird pieces from red and black felt - see the shapes in the photo below. 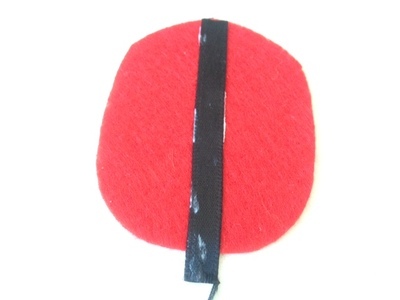 Cut a piece of black ribbon the length of your ladybird and glue onto the red body with PVA glue. Glue on the black spots and ladybird head. 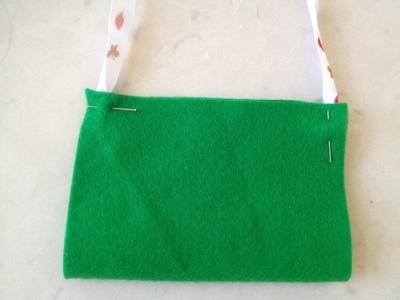 Fold the green piece of felt in half to make the bag shape and pin the ribbon for the handle inside each edge. Sew the two edges of the bag closed, sewing through the ribbon ends to secure it. You could do this by hand or use a sewing machine. We sewed the edges by machine using a large zig zag stitch in contrasting red thread. If you're sewing by machine, you can make it easier by leaving an extra centimetre on each side and then trim this off after you have sewed up each edge. Glue the ladybird on to the front of the bag with PVA glue. 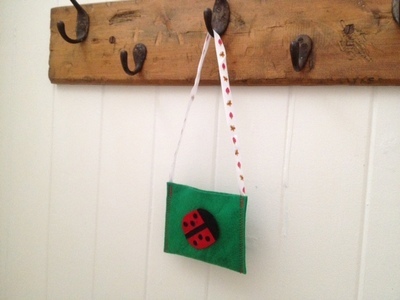 Your ladybird bag is now ready to fill with treasures.